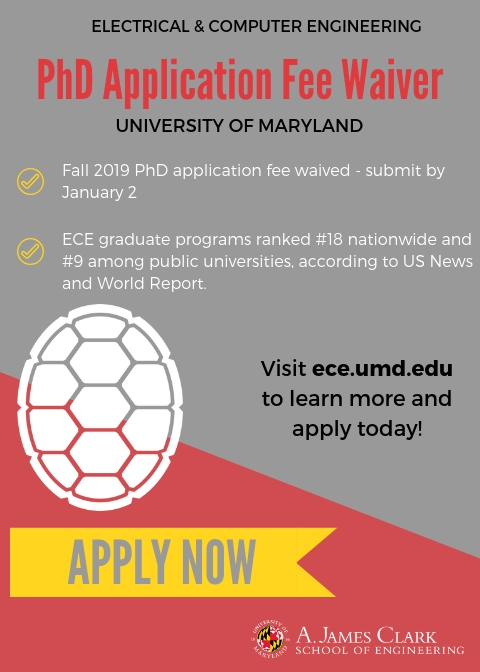 The Electrical and Computer Engineering Department is waiving Ph.D. application fees for the fall 2019 admissions cycle. Submit your application by January 2, 2019. Click here to apply. For more information about ECE's graduate programs, click here.